When writing a blog or creating your own website, it can be really important to use images. They make your site more exciting, break up large masses of copy, and help attract more Google visitors – images send out useful information to improve your Google ranking such as file name, description and title. So not only do images make your post or website look nicer, they help to bring in a relevant audience! The short answer is, no. You can’t just use any image you find online and share it as your own. 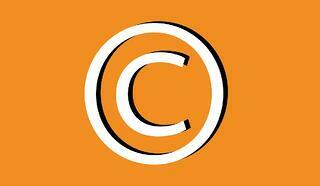 As soon as a photo is taken, or you create and upload your own work, you’re immediately protected by copyright laws. This means you will need permission from the owner of the image to use their work. Now if you’re thinking that you could potentially just take the image from the web, share it as your own and not get caught, then think again. Google makes it very easy for owners of content to find their own work on the internet, and the consequences of copyright infringement can range from being charged for the use of the image, to being taken to court. We would advise making sure you have permission to use any image you find online. If you’re not sure about whether you can use an image or not, have a look out for a Creative Commons licence either on the photo or on the website where the photo sits. For example, if you see “Attribution - non-commercial”, that means you can share the photo as long as you attribute it to the person who created it, and you’re not going to be making any money off the image – e.g. using it for commercial use. So where do I get free images from? Thankfully, there are lots of websites online that help you find images that are free to use so you can spruce up your blog. Flickr: Flickr is a fantastic resource where you can search for any image that you may require, and choose specific options that help you avoid breaking copyright law. For example, if you needed to find an image of books, you can put the term in the search bar, click on the drop down menu on the top left hand corner that says “Any License”, and choose the option that suits your needs – you can pick anything from “Commercial use allowed” and “Modifications allowed”, to “No known copyright restrictions”. Once you choose an image, check out the bottom right hand corner of the image to see if it has “Some rights reserved” to make sure you’re following the rules perfectly and save yourself future hassle! Pixabay: Another great site to find free to use images. Search for the photo you need, click on the one that suits your needs the most, and on the right hand side it will tell you if the image is free – you’ll more often than not see the words “Free for commercial use, no attribution required” – perfect. It’s essential to do everything you can to make sure your online posting is a success, whether it’s on behalf of your business or for your own joy. Using copyright-free images not only helps you to avoid unnecessary stress, but they can also bring more life to your posts and help you gain more unique visitors who are searching for exactly what you’re posting about. It’s a win-win. Does your business need help with its blog or website, or do you have any copyright-based advice that will help people who are trying to set up their own online presence? Be sure to let us know your thoughts below or get in touch to see how we can help.